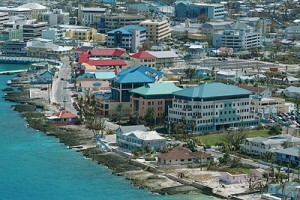 GEORGE TOWN - Cayman Finance is disappointed to read that the Cayman Islands has today been included on a list (based on the views of 11 EU countries with which Cayman does little international business) implying that we might be non-compliant regarding tax good governance. It is not clear what standards have been used by these 11 countries to come to such a conclusion, in particular when the Cayman Islands has exchange of information mechanisms in place with all but one of these countries. The Cayman Islands has consistently evolved and maintained its international tax cooperation practices to meet robust, balanced and globally implemented standards for regulation and cross border cooperation that apply equally to G20 countries and all International Financial Centres. This has been consistently reaffirmed in FATF and Global Forum assessments. In addition, the Cayman Islands has consistently acknowledged its important role in the global financial market by signing up as an early adopter of Automatic Exchange of Information arrangements such as the OECD’s Common Reporting Standards and UK and US FATCA. We are confident that if these 11 EU countries transparently and objectively evaluate the Cayman Islands robust international tax cooperation regime against global standards that the Cayman Islands will be promptly removed from this non-compliant list.